I’m running for president to restore the promise that every child, regardless of his or her background, has a right to a high-quality public education. When we are in the White House we will oppose the DeVos-style privatization of our nation’s schools. 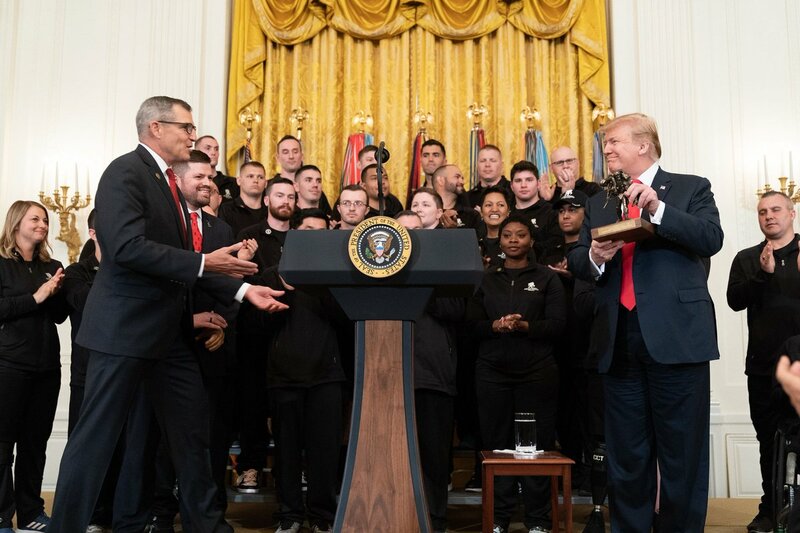 Calling their legacy of service "a gift to every single American," President @realDonaldTrump welcomed a group of our Nation's heroes to the White House this week in honor of the annual Wounded Warrior Project Soldier Ride!